Khafari graduates in May. He has announced on Twitter that he will transfer out of The Citadel to another program for his final year of eligibility. Does he have a shot at the NFL? If he was just graduating and deciding not to do another year of football that would be one thing, but going somewhere else to play football for one year is odd, especially if it is at another FCS school. We have coaches jumping ship and now players? Buffalo got out recruited, probably saw the hand writing on the wall. Running the Triple Option on High Octane! So what you are saying is that next year he would be a back up & he is looking to go somewhere to get more PT? Weather Buffalo is leaving for better opportunities on the football field or obtaining his masters in a degree that isn't offered at The Citadel the bottom line is he is a graduate and he is making the choice. Just like coaches decide to leave for varying reasons. The huge problem is attrition of 5th year seniors. Granted there are some that aren't offered continuation of their scholarships but we need to keep the ones that are offered. This year we are losing 11 potential 5th year players on the 2019 team. of those 11, 10 were on the 2 Deep Roster in 2018.Thats a lot of Senior Leadership gone. Below is what I have seen and heard as of Senior Night at the last game of the season. Hopefully some change their minds. Lots of shoes to fill. 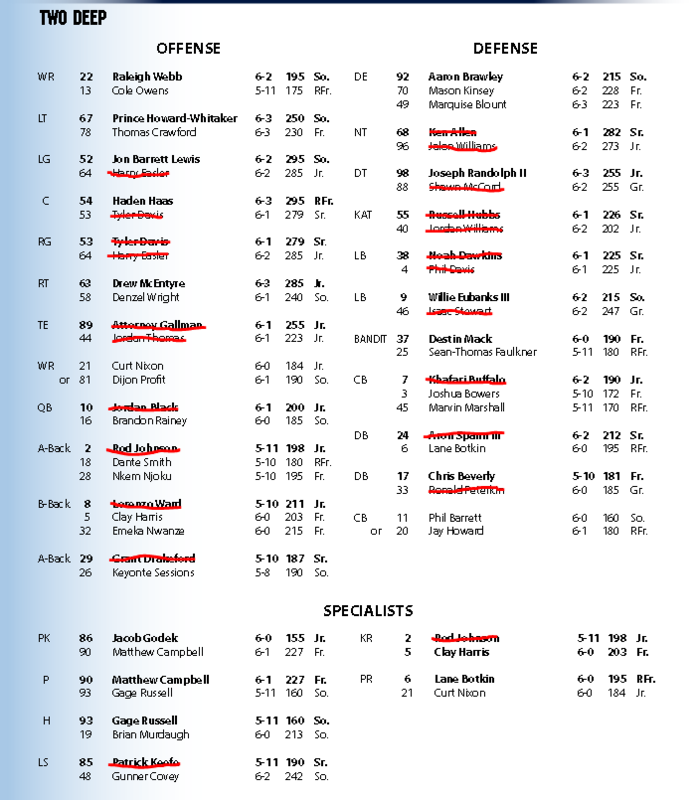 Only issue I see is Jalon Williams not coming back.